Also starring in the movie is Bokeem Woodbine, Pilou Asbæk, Hélène Cardona, Jacob Anderson, Iain De Caestecker, Dominic Applewhite, Mathilde Ollivier, and John Magaro. Avery directed from a screenplay written by Billy Ray and Mark L. Smith, based on a story by Abrams and Ray. Overlord is set to be released in theaters in just a little over two weeks from now on November 9th. Be sure to click right here to find some previously released trailers for the movie if you haven’t seen them yet. 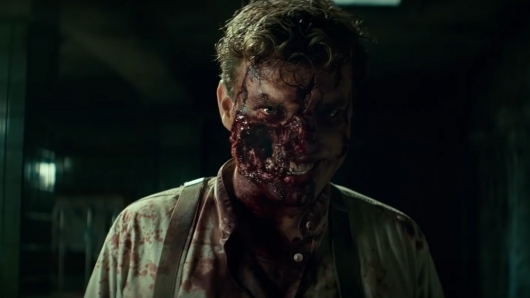 From producer J. J. Abrams, watch the final trailer for #OverlordMovie. In theatres 11.9.18.